Built for Microsoft Windows 10 – VMware Fusion 8 lets users take advantage of the latest features in Windows 10 like Cortana, the Microsoft speech-enabled virtual assistant, or the new Edge web browser. Users can quickly, easily and safely install new or upgrade existing virtual machines to Windows 10 with VMware Fusion 8. Ready for Apple OS X El Capitan – VMware Fusion 8 is ready for Apple OS X El Capitan. Users can run VMware Fusion 8 on El Capitan public beta today with confidence or install El Capitan in a virtual machine to test its new features, capabilities and application compatibility without disrupting the current Mac environment. Enhanced Graphics Engine – With added support for DirectX 10 and OpenGL 3.3, VMware Fusion 8 can deliver up to 65 percent faster graphics over the previous version, giving users more responsive and fluid graphics for day to day work while delivering maximum performance for highly demanding 3D applications. Ready for the Latest Macs – Whether running Windows on the latest Macs such as the iMac Retina 5K or connecting Retina Macs to 4K displays, VMware Fusion 8 offers users a crisp Windows on Mac experience on mixed environments. For Mac laptop users, VMware Fusion enables power coming out of their Mac’s battery to be used as efficiently as possible, and provides adaptive graphics switching to give users the ultimate performance while least impacting battery life. From the Mac to the Cloud – Native integration with VMware vCloud Air is now available and can be used to securely back up local virtual machines to the cloud, or build websites and apps locally before pushing them to the cloud for production. VMware vCloud Air Incentive Program – To help users get familiar with the benefits of cloud computing, VMware Fusion 8 Pro customers are eligible to receive $600 in vCloud Air service credit to use for up to 6 months — twice the standard VMware vCloud Air sign-up offer. 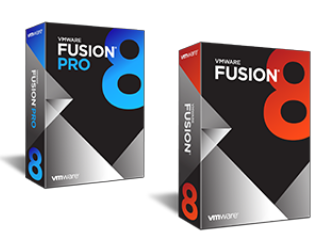 VMware Ecosystem Integration – VMware Fusion 8 Pro has improved integration for connecting to, creating and running virtual machines hosted on VMware vSphere, VMware ESXi or VMware Workstation servers. 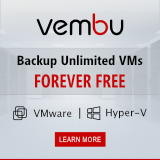 Control and download virtual machines from remote servers and turn them into local Fusion Pro virtual machines, or upload local virtual machines to vSphere directly from Fusion Pro. Built for Developers – Customers can use modern 3rd party tools such as Chef, Hashicorp Vagrant or Docker Machine to automate virtual machine and container deployment, or build universal applications for Windows 10 devices without ever leaving the Mac. Complex Virtual Networking – With updated networking controls, including IPv6 NAT support, and compatibility with the VMware ecosystem, VMware Fusion 8 Pro users can recreate complex cloud architectures right on the Mac to demonstrate or validate design before implementation. VMware Fusion customers interested in centrally managing virtual machines can upgrade to VMware Horizon FLEX. With the ability to centrally provision, manage and secure virtual desktops and applications running locally on Macs using policy-based controls, VMware Horizon FLEX is the ideal solution for customers who are looking to provide added management capabilities to their VMware Fusion install base. Thanks to iclarified.com for Fusion’s features list.